This large market, located at the Island Community Center, offers a wide selection of foods, plus many arts & crafts vendors. Plan to arrive as the market begins so you can enjoy all the market has to offer in the short time it is open. Shoppers will be surprised to find not only abundant fresh native produce, fresh & prepared foods, meat products, local seafood, cheeses, specialty foods and bakery goods but also a variety of fine artists, craftspeople, and community organizations represented in a lively mix of more than 50 vendors. Many items are perfect to take home for gifts & special occasions. There is always something new to discover at the Stonington Farmers Market! The Stonington Farmers’ Market takes place mid-May through mid-October on Fridays from 10AM-12PM, rain or shine. Outdoor activities near the market: The Pine Hill Preserve is located on Little Deer Isle. Its focal point is Pine Hill, which offers views of Deer Island & distant mountains. The area is also significant for its geological formations & plant life. The climb is steep & difficult, but worth the view! 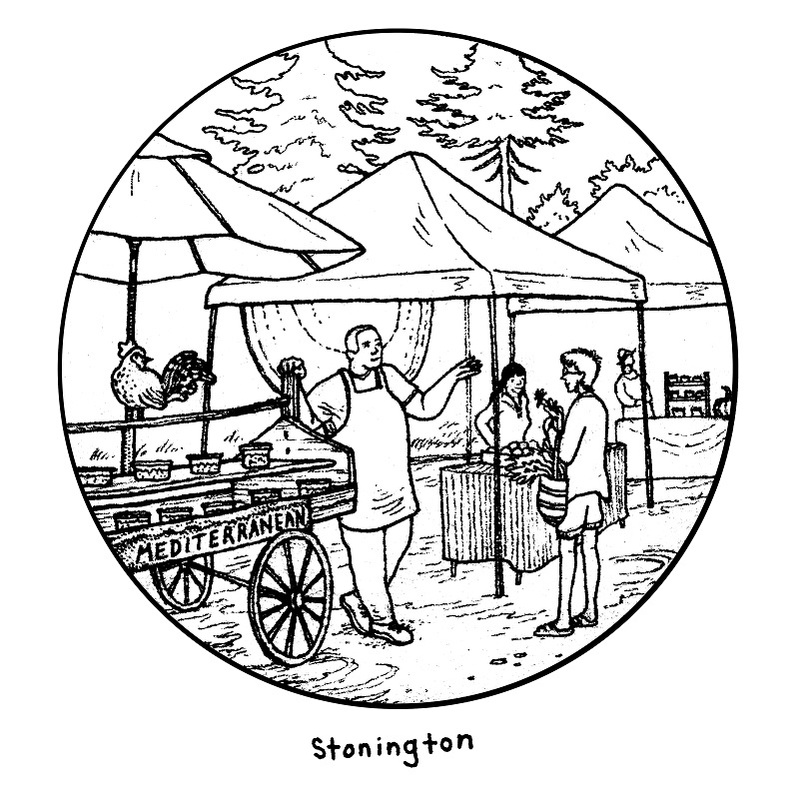 Indoor activity: Stonington Farmers’ Market coloring page here.